The Wooden Hill is the last in this debut collection of eighteen accomplished short stories by Northern Irish author, Jamie Guiney. I loved that the stories are ordered to follow the span of life with the very first tale being about a newborn baby and the last focusing on old age. I think my favourite story is Summer Stones which depicts how quickly a person's work and dreams can be shattered by the thoughtless actions of other people. Guiney has a wonderful talent for capturing people's essence and for concisely depicting each scene. I could easily envisage how each story played out and frequently felt quite nostalgic for my own youth and childhood. The sweet display in The Penny World Cup is exactly as I remember, even down to the time wasting business of choosing individual sweets to make up to the value of my weekly pocket money! I did think that some of the stories were more scenes than full stories and I didn't always feel I had understood exactly what Guiney was trying to put across. 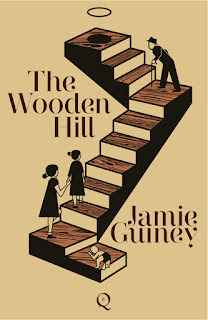 However I appreciated the opportunity to experience his work and I am sure I will read more of Jamie Guiney's writing in the future. oh span of life tales? How endearing! I love to read stories about how people's actions impact others! I love that this made you nostalgic! Those are the best books!